Abandoned at childhood, Betsy Bowen finds out she’s George Washington’s daughter and escapes the streets of Providence to become Eliza Jumel Burr, New York’s richest woman. She pursued Aaron Burr, the love of her life, for decades and he finally proposed when he was 80 and she was 56. She divorced him on adultery charges, and he died two days after being served the papers. Who was her lawyer? Alexander Hamilton, Jr., the son of the man Burr killed in the famous 1804 duel. Eliza believed George Washington was her father. Nine months before she was born, her mother spent one night with the general and became pregnant. Eliza’s many attempts to reach her father gained her an invitation to Mount Vernon weeks before his death. 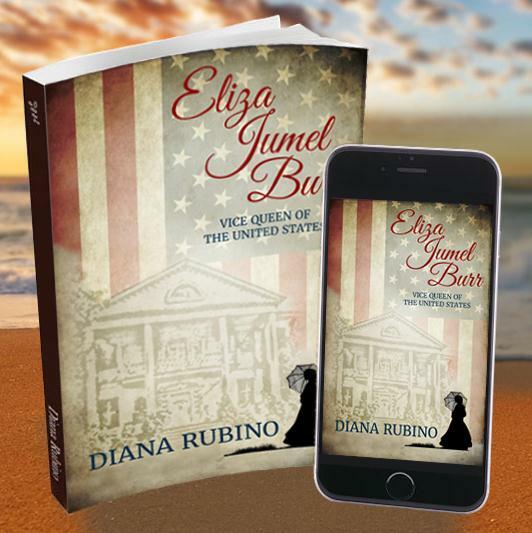 She met the love of her life, Aaron Burr, at President Washington’s inauguration. 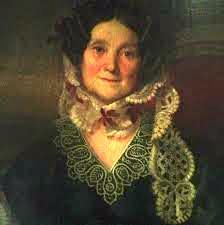 While Aaron was in the capital serving as a senator, Eliza met wealthy wine merchant Stephen Jumel, and faked her own death to get Stephen to marry her. When Stephen fell from a cart and died in Eliza’s arms, she was brought up on murder charges, which were dismissed. Aaron proposed to her and she became Mrs. Burr, her lifelong wish. July 11, 1804, a day I’ll never forget, a Wednesday, I rose early from fitful sleep. Two of my servants huddled in the kitchen, murmuring instead of cooking. They held the newspaper wide open. When I walked in, they froze as if turned to stone, and held the paper out to me. “What is it?” Without fresh coffee I was half-awake. But seeing the paper, I trembled. My mouth dried up. “Oh, no …” I hid my eyes with my hands, I couldn’t bear to look. Without another word, I ran down the hall, threw open the front door, not closing it behind me, and raced to Gold Street in the gathering morning heat. Humidity soaked my clothes. I mopped sweat from my face. I banged on his door. No answer. “Aaron, open the door, it’s me, please, we need to talk!” I banged again. Echoes answered me. He’d fled. But where? When would I see my beloved again? Hamilton died the next day, and the city fell to its knees in mourning. The tolling church bells and muffled drumbeats echoed through the sweltering city air. I saw Mrs Hamilton on Broad Way, head to toe in widow’s weeds. I wanted to approach her and offer my condolences, but she knew I was intimate with the vice president, so I kept my distance. Their country home, The Grange, was not far from the Morris mansion I planned to buy. We’d be neighbors someday.